Arrive on the island of Oahu like a VIP! Travel in style and comfort with Royal Hawaiian Limousine’s Ultra-Luxury Mercedes-Benz Sprinter Limousine services and enjoy first-class treatment without the first-class price. Royal Hawaiian Limousine’s ultra-luxury Mercedes Benz Sprinter limousine is the ultimate in luxury and style, with just about every vehicle amenity available to all passengers. This limousine’s new safety assist systems, sleek design, plush interior and high-tech amenities will surely enhance your travel experience to your hotel or even around the island regardless of road or weather conditions. If privacy and comfort are what you’re looking for, then look no further. 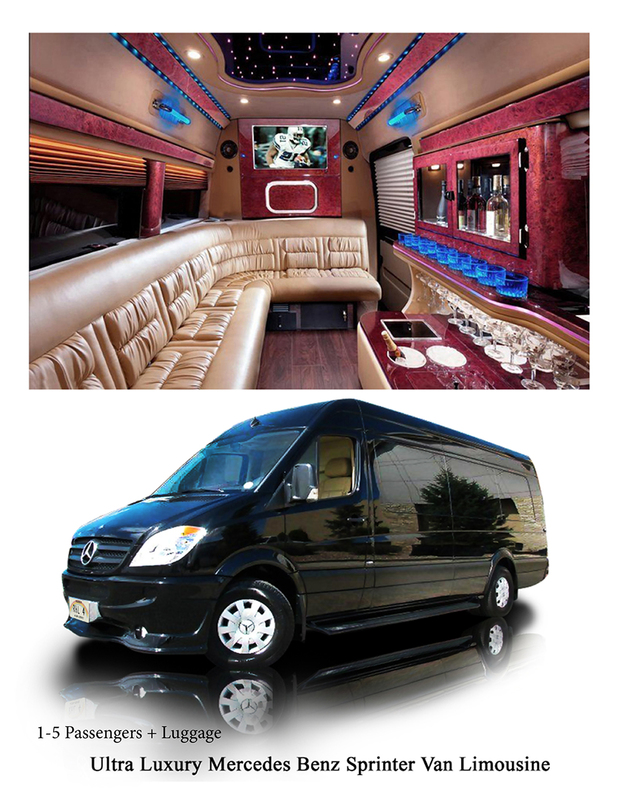 Our ultra-luxury Mercedes-Benz Sprinter Limousine can provide both and more. Of course, the vehicle is only a part of the entire Royal Hawaiian Limousine experience. Our well-trained chauffeur will provide a hassle-free experience from the moment you step on the curb to the time you arrive at your hotel. Start your visit with the best limousine service on the island, only through Royal Hawaiian Limousine. Give us a call to discuss your options, or book direct today! Please add 20% Company Service Fee + 5% tax to all packages.